Donald E. Sullivan, age 87, of North Chelmsford passed away peacefully on Wednesday, October 24th, 2018 at his home in North Chelmsford. Donald was born on October 3rd, 1931 in Framingham, Massachusetts to the late Francis G. and Dorothy B. (Ryder) Sullivan. Donald was predeceased by his loving wife of 59 years, Phyllis J. (Bowden) Sullivan. Donald was a graduate of the Greely Institute (Cumberland, ME), and Fitchburg State College, class of 1961. After serving honorably in the United States Army, Donald taught Industrial Arts for the Lexington Public School System, retiring in 1993 after 35 years of dedicated service. Donald was a skilled carpenter who enjoyed crafting fine cabinetry and furniture for loved ones following retirement. He was also an avid Boston sports fan and Patriots Season Ticket Holder. Donald was a voracious reader and decorated sport fisherman. He was a faithful member and active volunteer at St. John the Evangelist Parish in N. Chelmsford. Above all, Donald was a dedicated and loving husband, father, grandfather, and great grandfather. 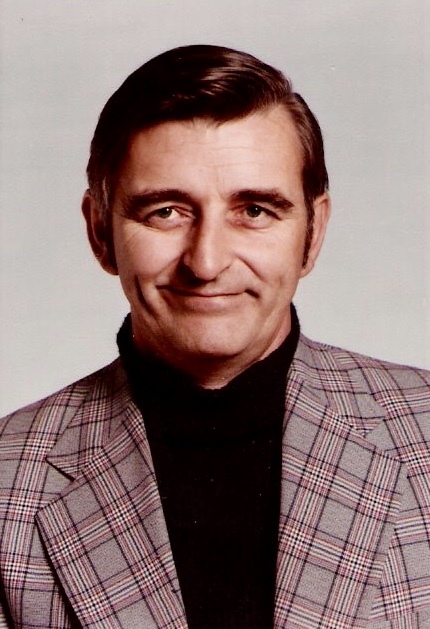 He is survived by his two siblings, Richard Sullivan and wife Joanne, and Michael Sullivan; his two sons, Donald K. Sullivan, and Bruce E. Sullivan and wife Susan; his two grandchildren Allison Sullivan-Peters and husband Andrew Peters, and Sean Sullivan; and his two great grandchildren Colin and Braden Peters. Donald is predeceased by his son David Sullivan; and his two siblings Peter Sullivan and surviving wife Martha, and Nancy Sullivan-Root and husband Jim Root. A Celebration of Life - Funeral Mass will be held on Saturday, November 17th, at 11:00AM for both Donald and loving wife Phyllis at St. John The Evangelist Church, 115 Middlesex St., N. Chelmsford, MA 01863.